My girls loved Frozen. I loved Frozen. It was a great story that carried great lessons. It was also funny and entertaining. Ultimately, I loved it because it conveys a powerful message about personal growth and fighting for love. And perhaps the best part is that the type of love most exalted in the movie was that between two sisters, rather than romantic love, which triumphs in most Disney movies but actually gets ridiculed a bit in this film. But Frozen also carries a warning about the importance of stories. Of whole stories. Of individual pieces of stories being set in their proper context. 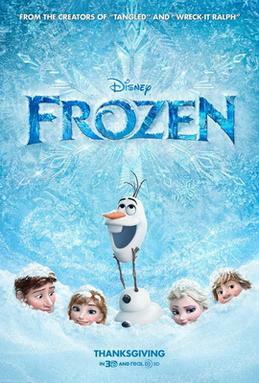 My daughters love the song “Let It Go,” which is the most compelling song in the film. So we downloaded the song and have been listening to it. On repeat. Before you stress out too much, let me assure you that Disney is not denying absolute truth here. Nor are they trying to teach our kids to disregard rules. But this song illustrates the need for stories and context. In the context of the overall story, this song fits in perfectly. The character (Elsa) has been repressed, she’s had to live a lie, and at this point in the film, she “lets go” and finally owns up to who she is. It’s actually a freeing point in the story, and in some ways a truly healthy development. But as the phrase “no right, no wrong, no rules for me” illustrates, she carries her authenticity too far and her desire to stop restraining herself ends up hurting herself and many others. So in the movie, the naïve folly in these lyrics gets exposed, and she learns to be herself within the context of right and wrong. The film sorts all of this out in a powerful way. The problem is created by the fact that this song is too good. It’s the standout single. So people (like my family) are going to buy this one song and listen to it apart from its story, apart from its context. And as a stand alone single, it’s implying that freedom comes from shirking rules and denying the distinction between right and wrong. To be clear, Disney isn’t implying this, because they created that song for its context in the story. But listeners will infer it because they’ll be listening to the song without regard to its context. There’s no villain here. It doesn’t upset me at all. But it struck me as a good reminder. Now, my oldest daughter is 4 years old, so we’ve haven’t been able to have a deep talk about relativism and how one might mistakenly infer this worldview from the song she loves. If you have older kids, you may want to have a conversation like that. But for me, it stood as a reminder of how important stories are. It’s not the individual elements that make a story good or bad, it’s the relation of the characters and events to the overall plot. This is as true of stories in the Bible (like David and Bathsheba) as it is of Disney films. So go ahead and enjoy your favorite scenes and singles, but make sure you pay attention to the whole story. In honor of the recent re-release of The Little Mermaid, I’m going to explore this beloved Disney movie from a theological perspective (because everything is ultimately theological). There are three primary ways you can take The Little Mermaid. The first is the most common. You can view it as “just a movie,” as a simple and entertaining cartoon. This would mean enjoying the songs, laughing at the humor, and feeling the glow of a good happily-ever-after. Or you could think theologically about the film, and take it as a horrifying lesson for our young women. This was my view of The Little Mermaid over the past few years. Think about it. Ariel falls in love with a man she knows almost nothing about, disobeys and ultimately runs away from her father, changes herself (her physical appearance as well as her essential being) in an effort to get this man, and although trouble ensues, she ends up getting exactly what she wants. The father is a pushover, who simply gives his spoiled daughter whatever she wants so she can be “happy.” Leave it to Disney to give us this kind of happily ever after, right? But there is a third way of taking The Little Mermaid, one that thinks about the movie theologically but less cynically, and one that has stood out to me since watching the film with my daughter recently. Ariel is a rebellious you woman. A perfect example of humanity on this side of the fall. Rebellious, willful, assuming that she knows what is best for her life. Against the wise counsel and commands of her loving father, she attempts to take her future into her own hands, determined to secure her own definition of happiness by her own means. This leads Ariel to utter ruin. Her life is destroyed. Like the prodigal son, she sold her soul for a fleeting chance at happiness. But her father intervenes. He is not content to let his daughter suffer the just consequences of her rebellion. Instead, he takes her punishment upon himself in order to allow her to live. 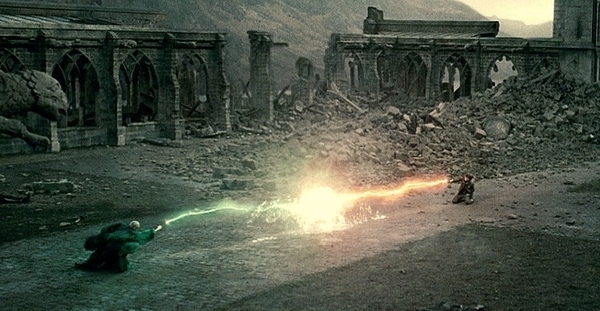 She then uses her newly re-gifted life to fight against evil, and she is joined by her would-be lover in the battle. Their love is no longer a “Disney romance,” but now each risks his and her life for the other. In the end, the battle with evil is won, and the rebellious little mermaid has come to a place of contentment with who she is and her mermish lot in life (this, of course, is debatable), though she still loves Eric. And her father, who loves her deeply, makes a way for her to be with the one she loves—not because she has demanded it or taken it through her own terms, but he offers it as a gift. Not only does the film end with a loving relationship between father and daughter, but the merpeople and humans are now living at peace with one another (there was mutual fear and hatred at the beginning). My point in exploring The Little Mermaid theologically is not to say that everyone should view it as an allegory of the faith or to suggest that Disney was trying to preach elements of the gospel through this cartoon. Not at all. But I am saying that everything bears theologically reflection. Everything needs to be considered beyond its entertainment value. Either Disney is saying something deplorable through this movie, or it is hinting at something profound and inspiring. Either way, these are themes we need to consider, and conversations we need to have with our daughters. King Triton’s actions here are worth comparing with what’s called the “ransom theory” of the atonement. This view was held by some early church fathers, including Origen, Gregory of Nyssa, and Augustine. In this view, Jesus’ crucifixion was a payment that God made to Satan in order to ransom humanity from Satan’s grasp. I should also be clear that King Triton often appears to act more as a Greek god (which, in fact, Triton is) than as the benevolent, omnipotent God of the Bible.